The First World War was an unprecedented catastrophe that shaped our modern world. 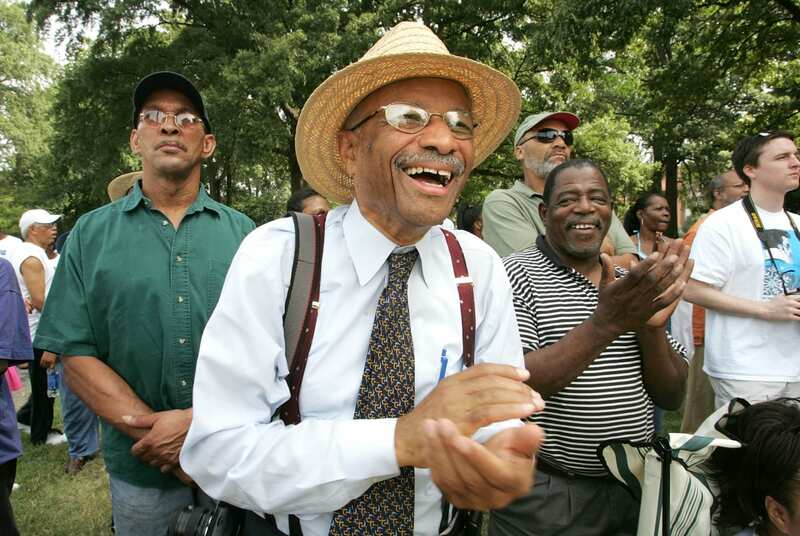 Erik Sass is covering the events of the war exactly 100 years after they happened. 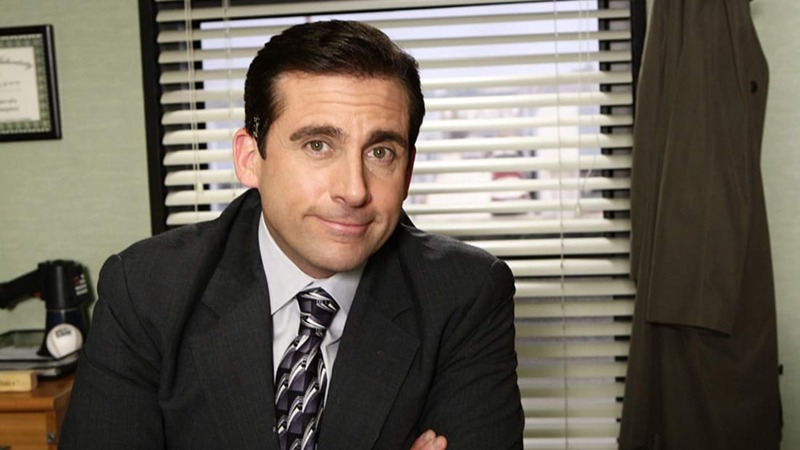 This is the 152nd installment in the series. 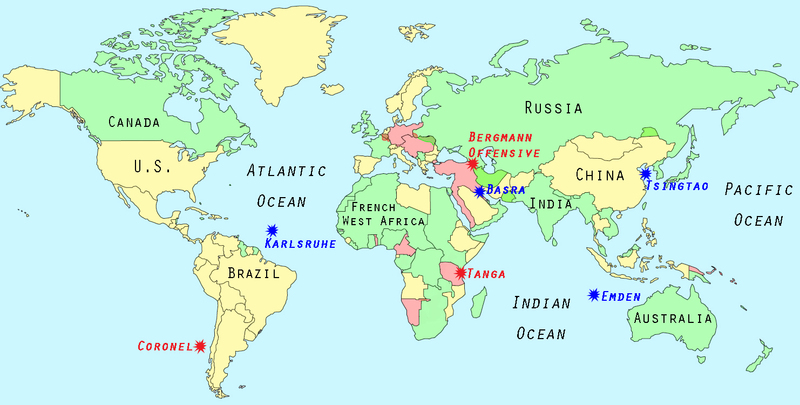 While most of the important battles took place in Europe, as its name suggests the First World War was a truly global conflict, with fighting in almost every corner of the globe, including land campaigns in Africa and Asia and naval engagements in the Indian and Pacific Oceans. A series of events in November 1914 give a good idea of the incredible scope of the Great War – a manmade catastrophe whose size and complexity seemed to defy human comprehension or control. 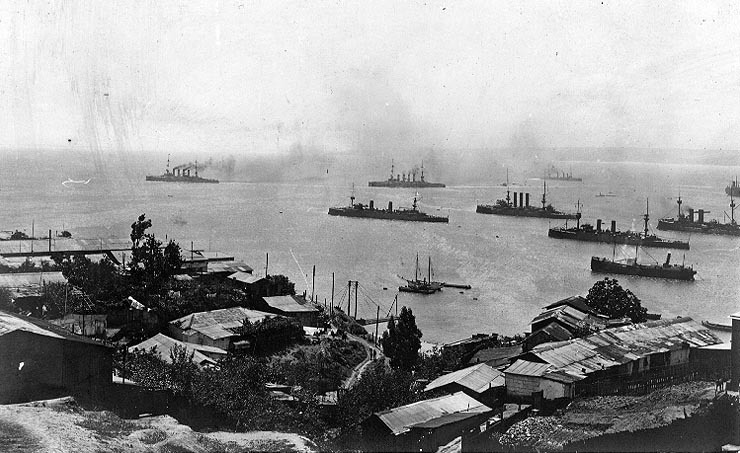 On November 1, 1914, Britain’s mighty Royal Navy suffered yet another embarrassing defeat in the first major combat between surface vessels during the war – the Battle of Coronel off the coast of Chile. For the Germans, this victory marked the high point of the first phase of the war at sea, when German “commerce raiders” terrorized Allied shipping, sinking dozens of ships and forcing the Allies to mount a huge naval dragnet to bring their depredations to an end. 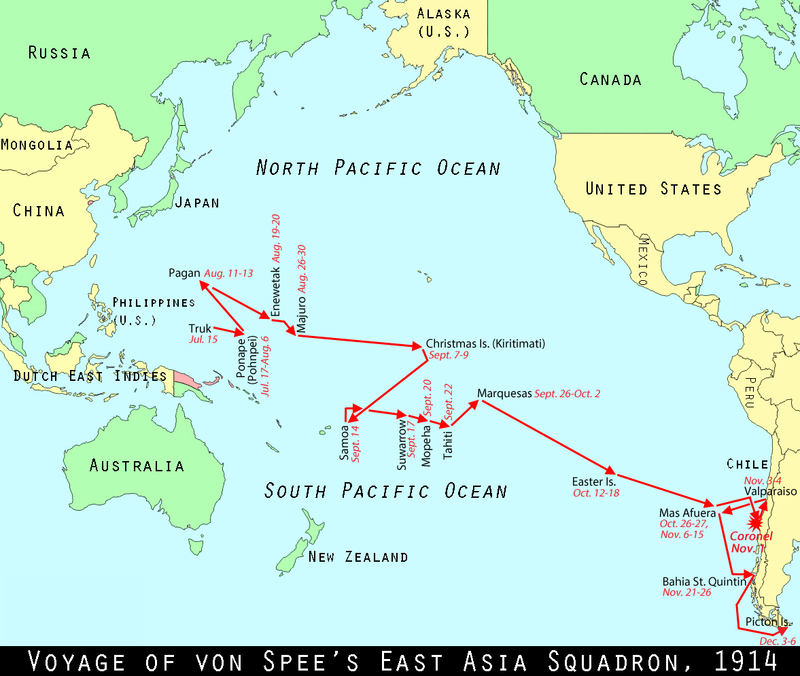 The sudden outbreak of war in August 1914 found the German East Asia Squadron, composed of five modern cruisers (Scharnhorst, Gneisenau, Dresden, Leipzig, and Nürnburg) under Vice Admiral Maximilian von Spee, scattered around the western Pacific Ocean, leaving the individual ships vulnerable to the much stronger British Royal Navy and Japanese Navy. Before they could act, however, Spee collected his ships in the Marianas Islands and then headed for German Samoa, occupied by troops from New Zealand on August 29, in hopes of catching enemy ships in port. Failing to find any he steamed east, bombarding Papeete in French Tahiti before disappearing into the vastness of the Pacific Ocean. After several weeks with no trace of the German squadron, the British Admiralty correctly concluded that he was heading for the west coast of South America, and began concentrating a naval force in the Falkland Islands, near Cape Horn, to confront Spee if he tried to sail around the continent’s southern tip into the Atlantic Ocean. Forced to use whatever ships were at hand, the Admiralty formed the task force around an older battleship, HMS Canopus, because it was the only ship in the vicinity with guns powerful enough to penetrate the armor on Spee’s newer ships – and therefore the only ship that could protect the more lightly armed and armored British cruisers, including HMS Good Hope and Monmouth. However the Canopus was slower than the rest of the task force, meaning there was no way the British ships could stay protected and hunt the enemy at the same time. Thus the British commander, Rear Admiral Christopher Cradock, left it behind when he sailed up the west coast of South America to hunt for the German squadron off Chile, ordering the old battleship to catch up as fast as possible. This was a huge gamble, but he may have hoped to use his other ships to lure the Germans within range of the Canopus. On October 29 a British light cruiser, HMS Glasgow, detected a German wireless signal coming from the Chilean port of Coronel, and found a single German supply ship there, which simultaneously spotted the Glasgow and radioed the news to the rest of the fleet. Now the opposing fleets converged on Coronel, with both commanders believing they had a chance to pick off a lone enemy ship. As soon as the fleets spotted each other, Cradock lined up his ships and approached from the southwest, intending to use the mid-afternoon sun to blind the Germans, making it harder for them to locate his ships. However Spee cleverly turned the tables by reversing course and keeping the British just out of range until the sun was setting behind the enemy ships, silhouetting them and providing a perfect target. As dusk fell Spee suddenly reversed course again and attacked, knocking out the forward-facing heavy gun on Cradock’s flagship, the Good Hope. Despite this serious setback Cradock continued sailing towards the German ships, probably hoping to use Good Hope’s numerous smaller guns to blast the enemy vessels at close range, and possibly attack with torpedoes, but rough seas prevented him from employing either option effectively. 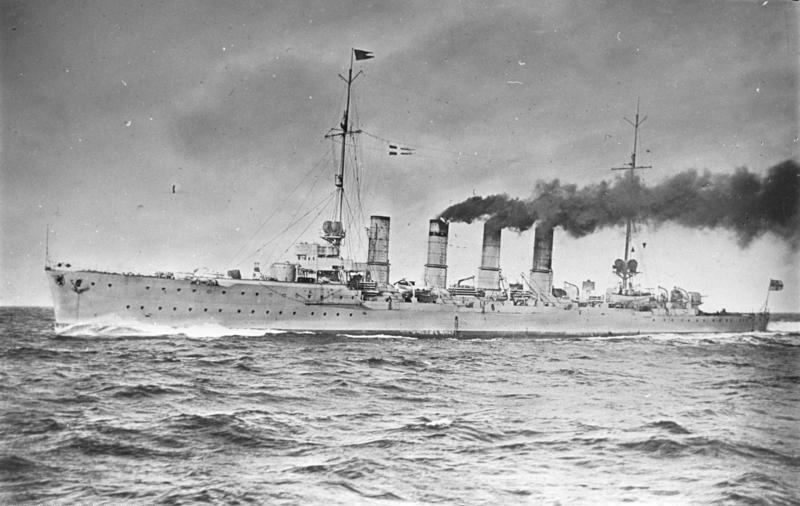 Now the German armored cruisers, Scharnhorst and Gneisenau, laid down a blistering fire that wrecked Cradock’s flagship, Good Hope, and at 7:50 pm her artillery magazine exploded, splitting the ship in two. All the German ships now turned their fire on the Monmouth, which soon lost power and drifted helplessly as the shells rained down on her in the gathering gloom. After an offer of surrender met no response, the Nürnburg delivered the coup de grace and the Monmouth followed the Good Hope into the deep with the loss of all hands. The remaining ships in the British squadron, the Glasgow and Otranto, wisely beat a hasty retreat, but the disaster was more or less complete: 1,570 British sailors perished during the battle, most by drowning, while just three German sailors were wounded during the entire battle. News of the victory lifted German spirits and prompted even more harsh criticism of the Royal Navy’s leadership in Britain, where the Admiralty was already under fire for the loss of multiple ships to German submarines and mines (in fact, unbeknownst to the public the HMS Audacious, a brand-new “super-dreadnought” battleship, had sunk after hitting a German mine off Ireland on October 27, 1914). Back in Europe, British civilians got their first taste of war on November 3, when German destroyers shelled Yarmouth, a port town on the North Sea. The raid inflicted minimal damage and was mostly symbolic, although a British submarine chasing the cruisers hit a mine and sank, and ironically one of the German cruisers hit a German mine and sank on the way home. However the attack foreshadowed more serious raids to come, including the shelling of Scarborough, Hartlepool, and Whitby on December 16, 1914, which left 137 civilians dead. On November 4, the Allies enjoyed a stroke of luck when another German commerce raider, the Karlsruhe, exploded at sea and sank off the north coast of South America. Like her peers the Karlsruhe had inflicted considerable damage on Allied shipping in the Atlantic and Caribbean, sinking or capturing a total of 17 merchant ships. She was on her way to sow more chaos by attacking shipping around Barbados when her boilers blew up; most of her crew of 355 sailors and 18 officers died in the accident, although a handful survived and were able to return to Germany aboard her collier (a companion ship which carried coal). The war in Africa took a surprising turn on November 4, 1914, when a scrappy force of German Askaris (native colonial troops) defeated a much larger British invasion force attempting to make an amphibious landing at Tanga in German East Africa (today Tanzania). 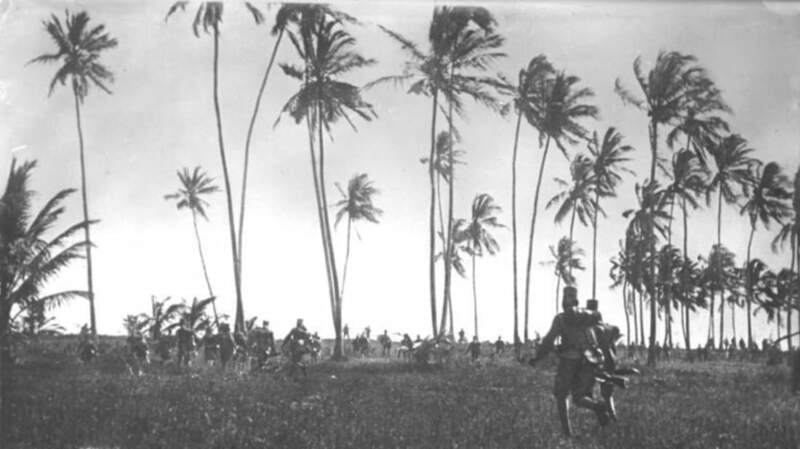 The British hoped to capture Tanga as the first stage in the conquest of the entire German colony, and succeeded in landing a force of about 8,000 Indian and British troops on the beach on November 3, and the following day they marched into the town itself. In one of the more bizarre episodes of the Great War, some of the Indian troops were attacked by angry swarms of bees at Tanga, leading the British to accuse the Germans of training the creatures in an early attempt at biological warfare (even though the bees attacked the Germans too). Beset by Askaris and insects, the British and Indian troops panicked and ran back to the beaches, and the rest of the invasion force packed up and evacuated to the waiting ships the next day. The “Battle of the Bees” would be the first of many victories for the German commander, Paul von Lettow-Vorbeck, who defied the odds with a guerrilla campaign against superior Allied forces, his small force improbably escaping death or capture right through the end of the war in November 1918. After the Ottoman Empire effectively declared war on the Allies with the bombardment of several Russian Black Sea ports on October 29 (the official declaration coming a few days later), the British hurried to protect their Persian oil supplies and threaten the Turkish flank with an invasion of Mesopotamia (today Iraq). On November 6 the first British and Indian troops landed in Mesopotamia and laid siege to Basra, an ancient port city located in the south on the Shatt-al-Arab river, formed by the junction of the Tigris and Euphrates. Furthermore the British expedition began on a less than impressive note in organizational terms, according to the same officer, who wondered, “When will England learn not start every campaign with a conglomeration of chaos…” This inauspicious start foreshadowed worse challenges ahead; contrary to general expectations of a quick march to Baghdad, the British campaign in Mesopotamia would be just as long and painful as any other theater of the Great War. Although under the terms of the Anglo-Japanese Alliance they were technically under no obligation to come to the assistance of their British ally, the Japanese saw the Great War as an opportunity to expand by picking up German colonies in Asia. 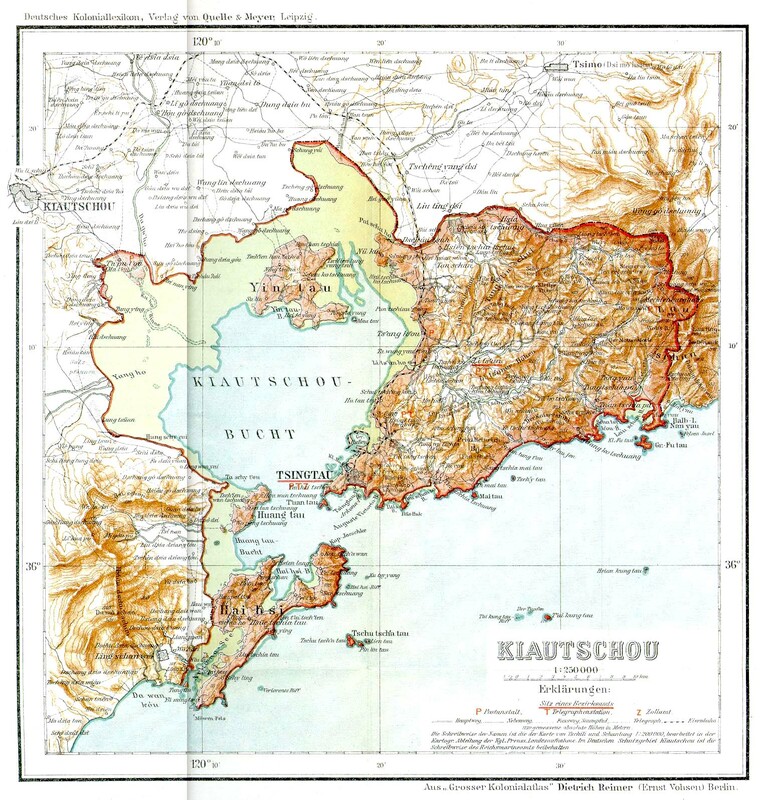 These included the Marshall, Marianas, and Caroline Islands and the German concession on Kiautschou Bay (Jiaozhou Bay) on the Shandong Peninsula, centered on the city of Tsingtao (Qingdao, home of the famous beer). The Japanese occupied the islands unopposed in October 1914, but Tsingtao, held by 3,650 German soldiers manning elaborate fortifications, put up considerably more resistance. After landing on the Shandong Peninsula on September 18, 1914, 24,500 Japanese troops drove the Germans back from the city’s outer defenses with attacks from September 27-29, then attacked the inner defenses (with help from 1,300 British troops) beginning October 10. The attackers sustained serious casualties, including the Japanese cruiser Takachiho, which was hit by a torpedo fired by a German torpedo boat and sunk on October 17, with the loss of 271 crewmembers. The final attack on Tsingtao began on October 31, with sustained shelling by Japanese heavy artillery and naval guns covering sappers who slowly extended the Japanese trenches towards the German lines. On the night of November 6, waves of Japanese infantry battered the defenders and eventually broke through, achieving victory but again at the cost of heavy casualties. The German governor finally surrendered Tsingtao to the Allies on November 7, 1914. 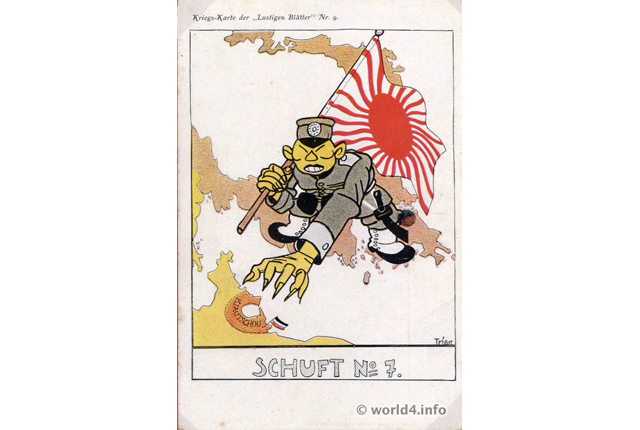 German propaganda, influenced by the endemic racism of the era, reflected public anger towards the Japanese for their “treachery” (below). 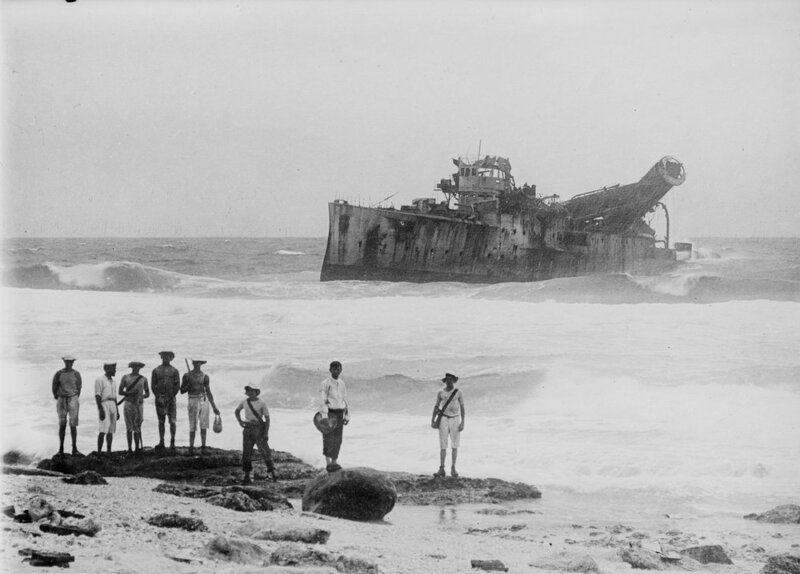 On November 9, 1914, the German commerce raiders suffered another defeat with the loss of the Emden, which had been operating successfully in the Indian Ocean. 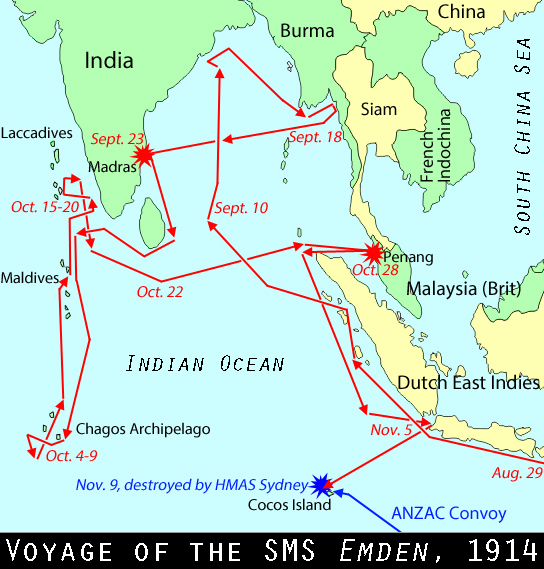 In just three months the Emden captured or sank 25 ships, as well as bombarding Madras and Penang in British Malaysia (managing to sink a Russian cruiser and French destroyer in the latter engagement). On November 9, however, the Emden’s luck ran out. A German landing party went ashore on one of the Cocos Islands (Keeling Islands) to destroy the British wireless station there, but the wireless operators had just enough time to send out a distress signal before the Germans. The signal was received by the HMAS Sydney, an Australian cruiser escorting the first convoy of ANZAC (Australian and New Zealand Army Corps) troops to Europe. The Sydney sped to the scene and after a fierce exchange of fire forced the Emden to run aground. While most of the Germans were killed or taken prisoner, 50 Germans who were still ashore when the battle started managed to elude capture, leading to one of the most amazing escapes of the Great War. During the night the German sailors commandeered a civilian schooner and sailed to Padang, Sumatra, in the Dutch East Indies. From there they caught a freighter to Yemen, then sailed north through the Red Sea to reach the Arabian territory of the friendly Ottoman Empire. 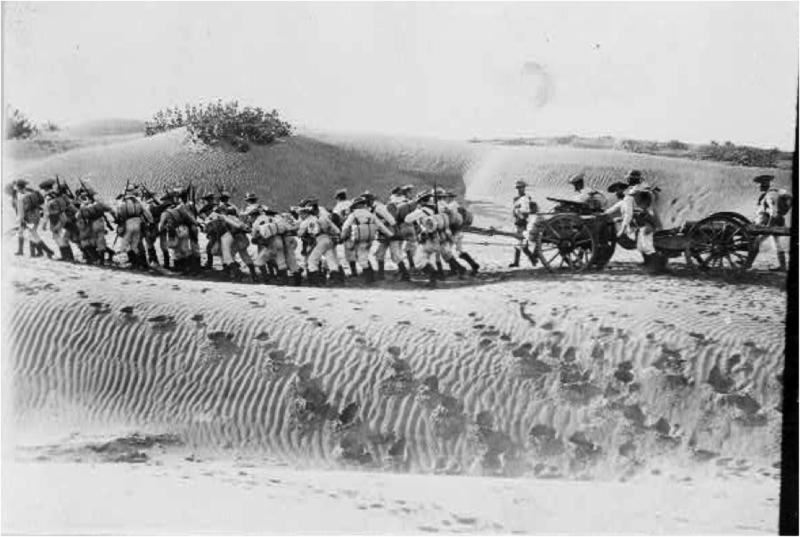 After landing in the Hejaz, they fought off marauding Bedouins near Jeddah and eventually reached the Turkish Hejaz railway. 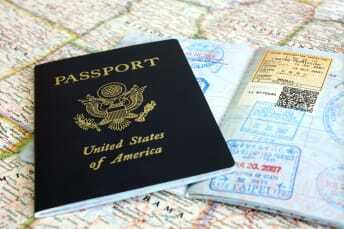 From here they traveled overland to Constantinople, and thence to Germany.